What lies in store for future Sino-US ties? The Donald Trump administration has listed China and Russia as "strategic competitors" in its National Security Strategy report published in December 2017. The Taiwan Travel Act, which violates the very foundation of Sino-US relations, was unanimously passed in the US House of Representatives and Senate, which also imposed sanctions on Chinese telecom company ZTE. And the four main principles of the US' "Indo-Pacific" strategy that US Defense Secretary James Mattis elaborated on in early June during the Shangri-La Dialogue in Singapore was obviously targeted at China. The Trump administration has ignited trade conflicts, imposing additional tariffs on Chinese imports worth $34 billion on July 5 and announcing more tariffs on $200 billion worth of Chinese products. These statements and actions show US elites have reached a kind of consensus on trade and economic relations with China, and bilateral ties have entered a phase of fundamental change. Generally speaking, in terms of its China policy, the US has shifted from engagement which accepts China as an integral part of the international community to confinement which aims to restrict China's activities on the global stage and squeeze China's space for economic growth so that it cannot threaten or challenge the US' supremacy. The US' confinement policy has three main dimensions which are correlated and progressively reinforcing. First, the Trump administration is using so-called "fair trade" to coerce China into expanding its imports and further opening up its market to reduce the US' trade deficits. The US leaders and elites are well aware the trade deficits are not the core issue of Sino-US economic relations, as the problem is related to the US' domestic economic structure, social model, particularly the internal demands to maintain the supremacy of the dollar in international transactions. The US' trade deficits would remain, even if its deficits with China were reduced by force. Nonetheless, trade has always been a convenient tool to attract the US public's attention, and stoke populism and nationalism. 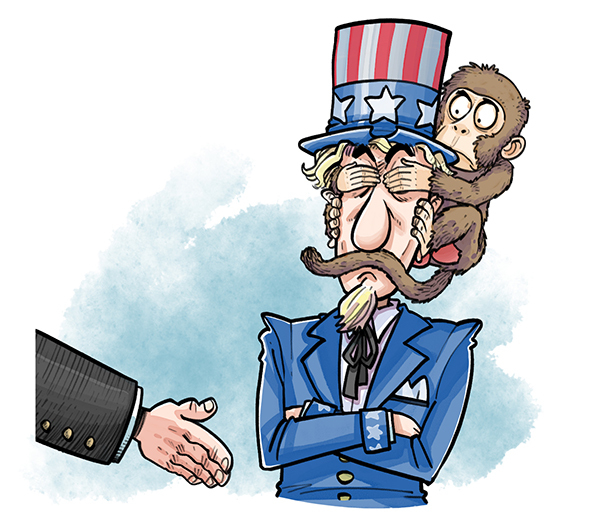 Stirring up trade conflicts helps the US leaders and ruling elites to show they are standing up to "trade bullies" and "fighting" for the people's interests, and thus win public support for the other policies aimed at containing China's rise. Also, it is easier to arouse the sympathy of other countries that are under competitive pressure from China by bickering over trade issues including market access. Second, the Trump administration aims to contain China's rise so as to strengthen the US' monopoly or competitive edge in science and technology. Chinese companies have climbed up the global value chain since the deepening of reform and opening-up, particularly in the last decade. Allegations that China is resorting to forced technology transfer and infringement of intellectual property rights became rampant as China's competition with industrialized countries, including the US, intensified. No wonder the 10 Chinese high-tech industries which US Trade Representative Robert Lighthizer listed for potential tariff when testifying in Senate are all part of the Made in China 2025 plan. The "preventive strikes" on China's development of high-tech industries expose the US' anxiety as China is catching up with the US' high-tech development. Washington has also attempted to restrict China's technological exchanges and cooperation with US allies. Besides, China's Technology Transfer Strategy, a report published by a subordinate body of the US Department of Defense, proposes to establish an intelligence-sharing mechanism with US allies and jointly restrain technology transfer to China. The US has even tried to restrict the number of Chinese students and scholars in science and technology, engineering and mathematic in the US through tighter visa policies and immigration reform. Third, the US is attempting to reshape the world order in a bid to regulate and contain China. The US elites wrongly believe that China has taken advantage of the multilateral trading framework based on the World Trade Organization and profited at the expense of the US. And they don't think the WTO's policy framework, which differentiates developing countries from developed ones, can stop China's "unfair trade practices". Hence, they proposed to deal with China beyond the WTO policy framework. 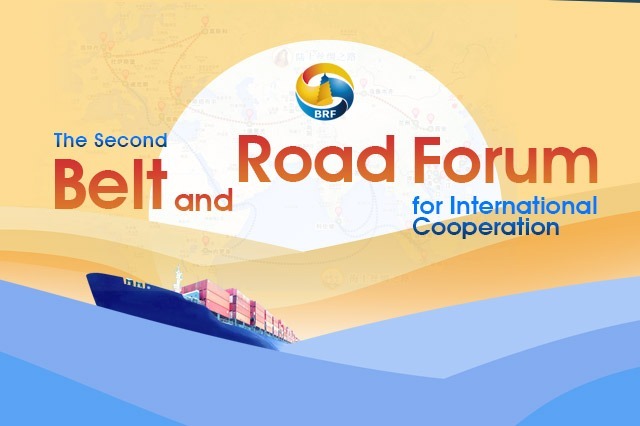 And while on the sidelines of the APEC Economic Leaders Meeting in May, the ministers of commerce from the US, the European Union and Japan mentioned a road map for expediting the framing of new WTO rules on industry subsidy and State-owned enterprises. The G7 statement, which Trump refused to endorse, in June demanded that the WTO become more "modern" and "fair". This shows the Trump administration does not just seek to pursue unilateralism and isolationism, but also intends to both restrain and weaken China on the institutional front. In fact, Trump has been strengthening US laws and collaborating with US allies to comprehensively upgrade and expand the WTO multilateral framework to restrain China. There are four possible scenarios for future Sino-US ties now that the US is hellbent on containing China. First, China's countermeasure of "surrendering part of the profits but making no concessions in stance" would succeed in helping resolve the trade frictions with the US. China would hand over some economic interests by, for instance, lowering tariffs and increasing the import of US goods and services. Yet China would continue to defend the current multilateral trade framework based on the WTO. In this scenario, the increase of tariffs and the trade value involved would be contained but China's technological exchanges with developed economies would continue－though under stricter regulations. And the multilateral trading system would continue as it is, or undergo some marginal reforms, meaning global economic relations, in general, would return to the state they were before Trump assumed office. Second, the WTO framework would be upgraded and expanded after multiple rounds of negotiations and policy coordination among China, other major emerging economies, and the developed economies including the US, the EU and Japan. New rules on forced technology transfer, e-commerce and SOEs would be introduced to address developed countries' concerns while the restrictions on high-tech exports, opening-up of the technology industry and the definition of developing countries, which are the chief concerns of the emerging economies and developing countries, are explained in detail. Moreover, the US' unilateral policies would end and it would rely more on the multilateral system, with China adjusting its laws and regulations according to the new WTO rules while steadily deepening reform and opening-up. But the interests of some Chinese industries, enterprises or groups could be compromised in the short term. Third, the main contenders on the global political and economic stages would not be able to upgrade and expand the WTO framework, and the developed countries represented by the US would not reach a consensus on how to deal with China. And despite former White House chief strategist Steve Bannon's remarks last year that the West has only five to eight years to "make China submit", the developed countries would not agree on a common policy toward China because Trump's actions have made them wary of the US' global leadership. In this scenario the WTO could do nothing about certain economies' transgression and overstepping despite still acting as the prime regulator of global trade. Thus the trade conflicts that we see today would become normal and regional trade negotiations, including the China-Japan-ROK free trade agreement, could be expedited. And last, the US, the EU and Japan would start anew, for instance, by reviving the Trans-Pacific Partnership and Transatlantic Trade and Investment Partnership, finally inking the two agreements, or making the current mechanisms including the Organization for Economic Cooperation and Development and the G7 perform the functions of a modern, high-level multilateral trading system as they could not reach a consensus with China on a "modern" WTO framework. China and the US would go their separate ways or developed economies would exclude China from their trading and financial systems leading to a negative-sum game where the more vulnerable would feel the most pain in interdependent relationships. The marginalization and de facto death of the multilateral trading system centered on the WTO is another possibility in this scenario. Among the four scenarios, the fourth is the worst and the first the best for China, while the third is the most likely to come true. But given their possibilities and respective influence, the second scenario is what China should strive for. That China would have to endure tough negotiations in the process goes without saying. And the negative influences which are hard to avoid should be comprehensively evaluated in advance to prevent more losses. Zhang Yuyan is director of the Institute of World Economics and Politics, Chinese Academy of Social Sciences; and Feng Weijiang is a research fellow at the same institute.